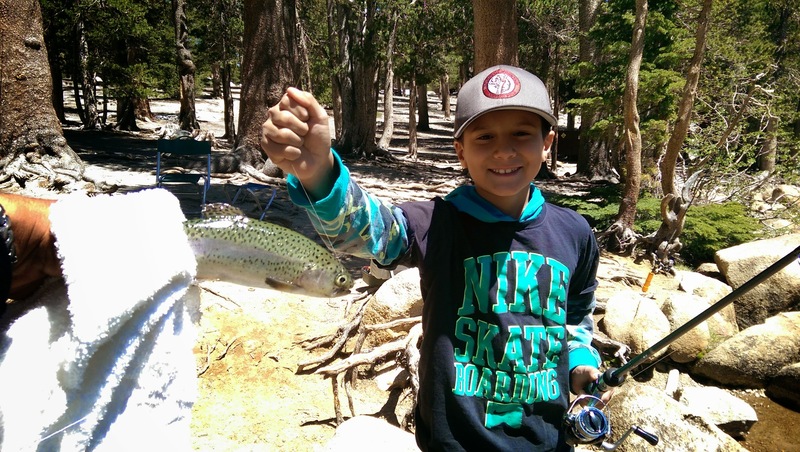 My family just got back from another great camping trip in the Eastern Sierras. We love camping because it’s an escape from our constantly moving world. There’s only two ways to tell time for us, light and dark. As long as there is light we can fish, hike, and explore. As darkness fell it is time to settle into camp, get the fire going, and make dinner. Mammoth has been a great base for our camping trips because we can rough it and still be only a few miles outside of town for any quick needs. I’d love to share one of my favorite places in Mammoth with you so your adventures can be equally enjoyable. Rick’s Sports Center is one of my favorite stops in Mammoth. Unfortunately, it’s usually fishing equipment malfunctions that bring me in but the customer service is what keeps me coming back. You see, I’m a novice fisherman. I’ve learned a lot the last 3 seasons, but learning is what I’m still doing. 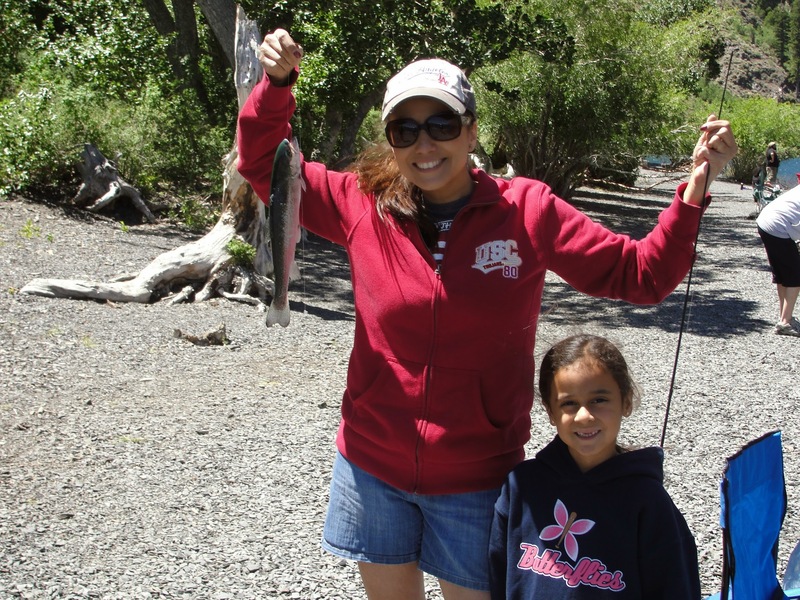 The first year up, my daughter wrecked her Barbie fishing pole so bad before I could even string and bait it that we had to go to Rick’s ASAP. Everyone said, “Oh you’re going to get taken advantage of by going to a shop in town.” Boy were they wrong. To the delight of my daughter, they were able to quickly fix my daughter’s fishing pole. To the delight of her father, they charged me absolutely nothing! I couldn’t believe it and it also made me a life long customer. I felt compelled to give them some money, so I thought let’s buy more bait and tackle. Last year my wife’s reel got tangled up. I was a second year fisherman so I thought I could fix it. Just grab a knife and start hacking some line. For those of you that are fisherman, you know how bad an idea that is. So there I was at the lake thinking I really should have just gone to Rick’s. Again for next to nothing, Rick’s was able to fix the reel and I bought a back up for insurance and as gratitude for great service. I drove away in awe again at the level of service and fairness of prices. Last year I also discovered my son has no patience for bait fishing. So I switched him over to lures and jigs. He just can’t sit and wait for fish to find the bait. He’s constantly casting and reeling in the line. At least now he keeps himself busy. But this year I switched him over from a Zebco spincast reel to a spinning reel, and with that came birds nest after birds nest. Those are piles of unwound fishing line that looks like a tangled mess or a birds nest. With that we were once again off to Rick’s to save our camping and fishing trip. They kindly restrung both reels that my son had tangled up. Once again, compelled by their service, I ended up buying a spare reel at a great price. They had us out of there in about 15 minutes and on with our camping and fishing fun. As I waited for my reels to be strung with new fishing line, I decided to compare prices on hooks and bait with what I paid back home. Shockingly, Ricks was the same or cheaper priced on everything I bought before the trip. With that I finally decided that I will simply wait until I get to Rick’s Sports Center to pick up all the bait and tackle that I will need for the trip. There really is no point in stocking up ahead of time for me and Rick’s has earned my business with their continued level of service. 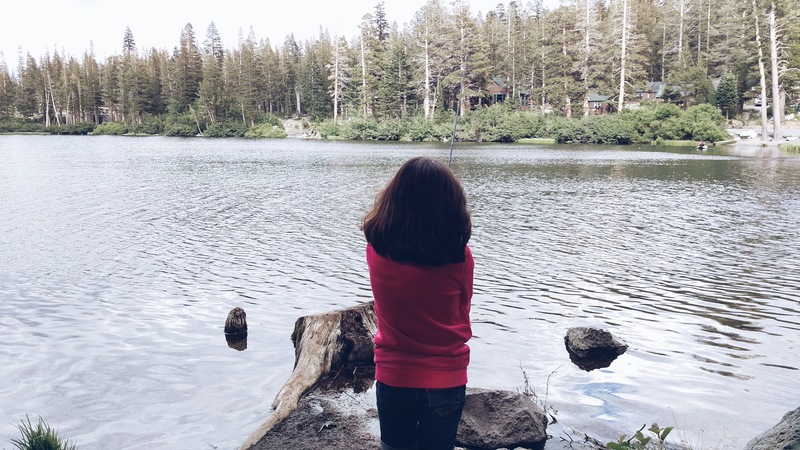 The memories and fun are had on the lake or stream and Rick’s has been central to making that happen for my family when visiting Mammoth Lakes. Good read as always. I can relate to the birds nest for sure.